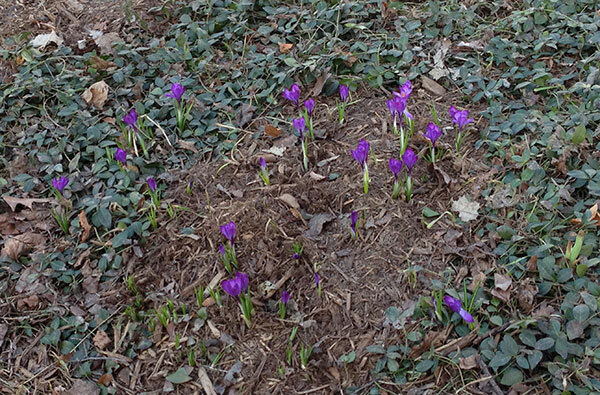 I was greeted by this colony of croci. They are not fully opened but were very noticeable as I pulled in the driveway. 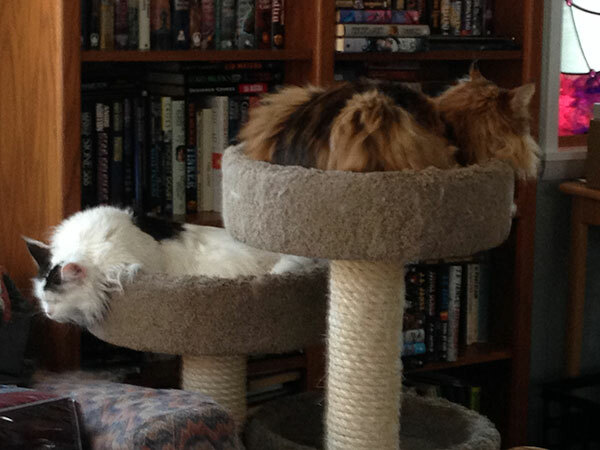 I am beginning to worry about what the cats are doing during the day. This is how they greeted me today.